This article was originally published on NationalPainReport.com and is being republished here with permission from the editor. This post may contain affiliate links. 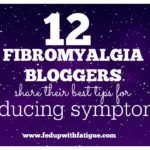 Unrefreshing sleep is one of the primary symptoms of fibromyalgia. No matter how much we sleep, we still wake up exhausted. Multiple research studies have confirmed our disordered sleep. We don’t spend enough time in the deeper, more restorative stages of sleep, and some studies have also shown that we have alpha wave intrusions, which are associated with wakefulness, during the deeper stages of sleep. Block the blue light. If you absolutely have to use your mobile devices or watch TV before bedtime, consider purchasing a pair of blue-light-blocking glasses. (You can buy inexpensive ones on Amazon.) For Android smartphone users, there are blue-light-blocking apps that you can download. Newer iPhones and iPads come with a built-in “night shift” option. If you have older devices, Amazon sells blue-light-blocking screen protectors. For laptops and desktops, you can download the f.lux program. While I agree with most of these I placed a BIG (30 lbs) salt lamp in my bedroom. It sits behind a square block but many might consider it bright. It agrees with me and I sleep better than I ever have. I grow, make, eat and rub cannabis. It helps most of all. I can sleep all night if I take enough. I really love the salt lamps. They’re just beautiful! I use cannabis for sleep, too. Good stuff! If you don’t live in a legal state, then your only option is to buy it on the street, which is a bad, bad idea for lots of reasons. 400mg of 5-HTP (capsules) taken 1/2 hour before bedtime have helped me the most. I still wake up for the washroom during the night, as I need to keep my fluids up, but my sleep has been deeper and longer since taking these. I would be lost without them. If you’re going to try them….work up to the dose gradually as everyone is different. I weaned off of Pregabalin (Lyrica) at the same time as weaning onto the 5-HTP. I also take Vitamin B complex and Calcium/ Magnesium, which I think also helps with the sleep. I’m glad 5-HTP is helping you w/ sleep. It is helpful for some people. I take it in order to help with mood. 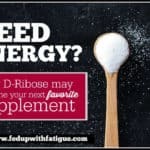 My former fibro doctor suggested up to 300mg to help w/ sleep, but it energizes a small number of people, and I fall into that category so I take mine in the morning so it doesn’t mess up my sleep at night. Cognitive behavioral sleep therpy for insomnia involves restricting sleep as a way of hopefully helping you get to a point that you can sleep more deeply (and then longet??). 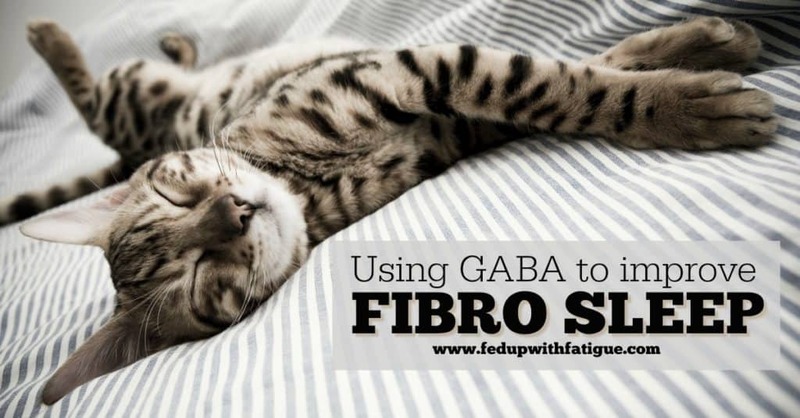 Restricting sleep for any reason with fibro seems so counterproductive because I pay such a price the next day, with Incredible spikes in all fibro symptoms! 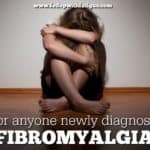 I would love to hear from people that have actually had with sleep restriction that have fibro. 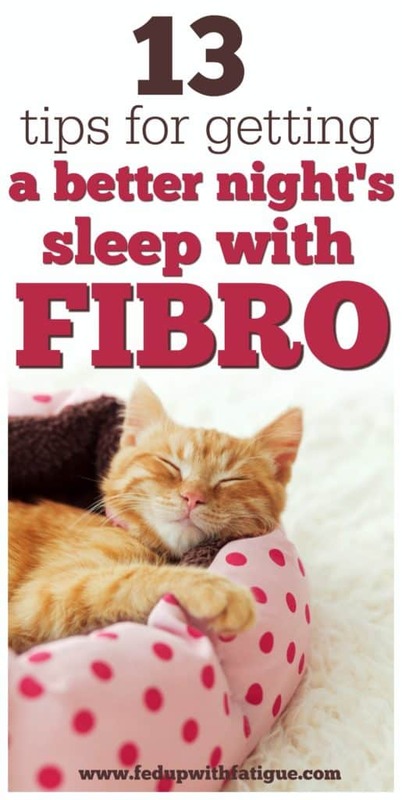 I definitely would not restrict my sleep w/ fibro. Like you, that seems counterproductive to me. I’m not really familiar w/ CBT for insomnia. I would think there’s more to it than restricting sleep. Maybe that’s just one strategy that is used sometimes. Donn, thank you so much for this website and the FB page! 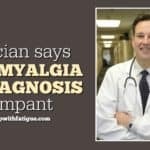 I was diagnosed with FM/ME almost 4 years ago, and yours is first site where I have found useful information. Keep up the great work!! Thank you so much, Cindy, for your kind words. You guys keep me motivated! I hope you’re able to make use of the sleep tips in some way. I had not slept more rhan a couple hours at a time for 6 months. I read about Hemp CBD oil from your site and bought mine from NuLeaf. I take 10 drops at night which is what the bottle says. But everyone is different i tried less but it was not enough. I do 5 drops in the morning and it gives me a calm but not drowsy. I am 5’7″ and weigh 165 lbs. 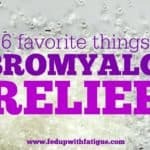 and have Fibro, Chronic Fatigue, Restless Leg Syndrome and mild aleep apnea. I am so grateful for this stuff. I have been doing it for 3 weeks now and the only drug i have taken is Soma and Tramodol for severe storms that caused severe flareups. I am so grateful for this site. That’s awesome news! So glad the CBD oil is helping you to sleep! Thanks for sharing! I love all of your articles. 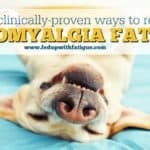 You have the most helpful information for a fibromyalgia website. Please keep up your excellent work!! Awww, thank you so much! You just made my day! I hope you’re able to use some of the tips to get better sleep!